Because Heathrow is where you go in Europe if you are flying to or from Halifax, Nova Scotia, inevitably every trip we take to Europe involves an overnight in London. Usually in a grungy hotel near Heathrow. One of my favourite things to do while traveling is to turn travel white space into unexpected fun diversion, and so when Oliver and I found ourselves flying into Heathrow from Copenhagen on Sunday night arriving around suppertime, I immediately set out to find us something fun to do instead of simply hanging around the grungy hotel (in this case the Jury’s Inn, which is not really grungy as much as soulless). As it happened, the night before I’d listened to the BBC film review podcast wherein Mark Kermode reviewed Hachi, a movie about a dog and Richard Gere. Suitable (perhaps) for kids. 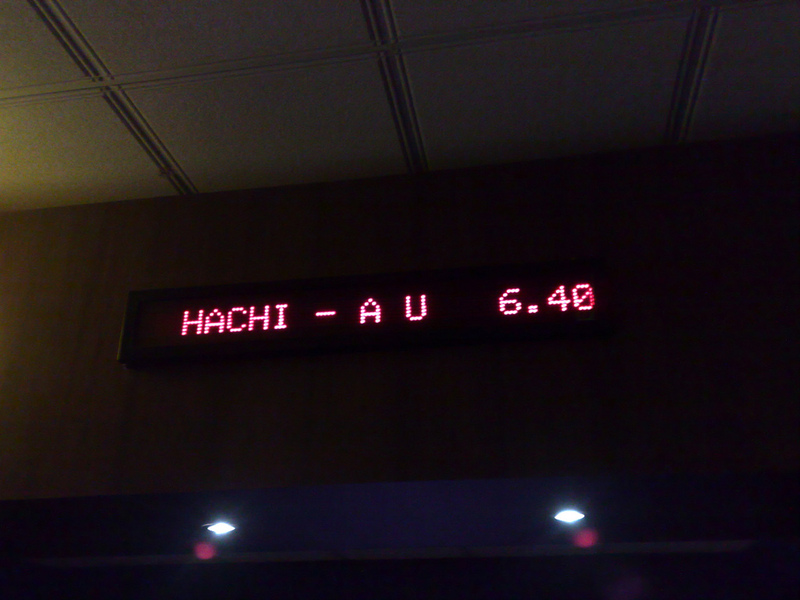 Now as we’d seen Marley and Me in Slovakia last March, the stars seemed to be aligning in Hachi’s direction already, and a quick Google search revealed a 6:40 p.m. showing at the Cineworld in Feltham, a mere 4 miles away from the hotel. We arrived at the hotel around 5:00 p.m. and quickly made our way through customs and onto the Underground to travel up one stop to Hatton Cross. 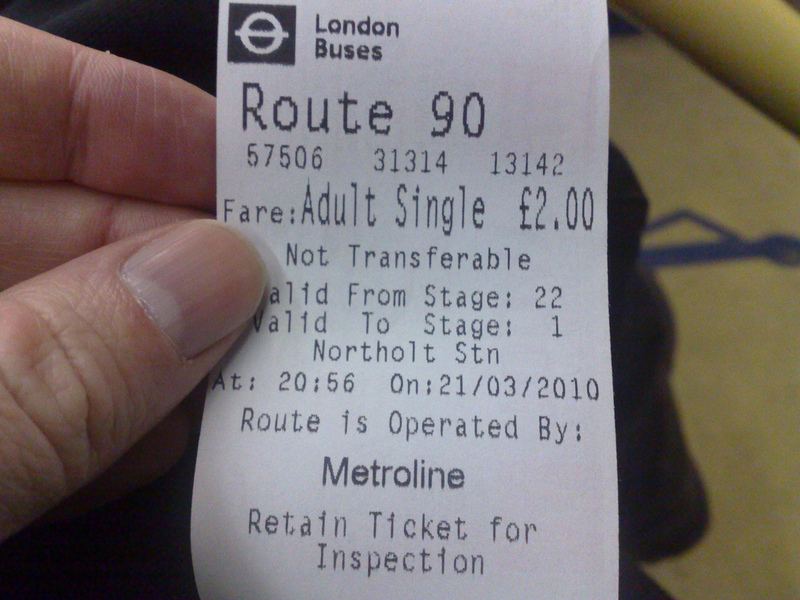 Walked the half-block to Jury’s Inn, checked in, dropped the luggage, and headed back to Hatton Cross where the friendly clerk told us to get bus number 90, for £2 (free for Oliver), and 15 minutes later we’d be at the cinema. However. The bus schedule was such that were we to have followed this timetable we’d have been late for the film. So instead we hopped in a cab (waiting, conveniently, steps away) and for £9 we were at Cineworld 10 minutes later. With minutes to spare. Popcorn is offered salty or sweet: when you order it, the clerk says “salty or sweet?” Which is confusing if you don’t expect it. Movies cost about the same: my ticket was the equivalent of $12 Canadian; I pay $11 at Empire Theatres. The cinema was filthy: half-finished Ben and Jerry’s ice creams in the cup holders, trash on the floor, floor very stick, etc. (yes, pot calling kettle black). No ads before the film (nice). Otherwise things were pretty much as we expected (i.e. no assigned seats, no national anthem, etc.). 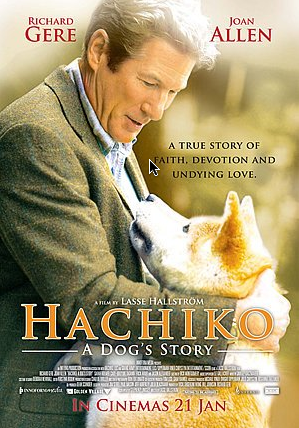 Hachi was exactly as Dr. Kermode reviewed: full of tear-jerking dog-related pathos. Oliver and I both enjoyed it. Afterwords we headed out into the “Leisure West” area around the cinema – bowling alley, BINGO parlour, restaurants – and ended up eating at Burger King (it was that or Pizza Hut) where Oliver had not-horrible Char-grilled Chicken Fillet Strips (think “Chicken McNuggets without the deep-fried breading) and I had a BK Veggie Bean Burger (which was pretty much what you expect it is). Once we’d eaten we walked 10 feet to the bus number 90 step and 10 minutes later we were en route back to Hatton Cross and 30 minutes later we were asleep in our Jury’s Inn beds. The London bus system, by the way, is a marvel of clarity when it comes to signage: it’s easy to find out where the buses go from any stop, when they go, and where you can move on from there. We could learn a thing or two from them. Written March 25, 2010 at 5:27 p.m.
Was there a real Pizza Delight — Maritimes style — in London? I would find it hard to believe that the tentacles have gone from Shediac to London…..
Oops – Pizza Hut, not Delight. Corrected. Thanks.